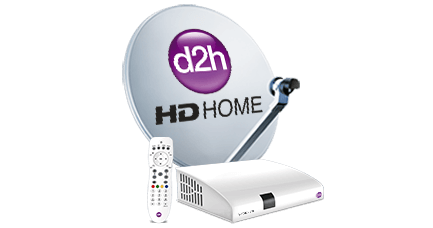 January 23rd, 2014 MUMBAI: d2h, Asia's Most Promising Brand & Fastest Growing DTH Service has now added 7 new channels ""Zee Anmol, Gujarat Samachar TV, God TV, Goodness TV, Reporter TV, Big RTL Thrill, Oscar Movies "" on its platform. Zee Anmol is a GEC from Zee group, Gujarat Samachar TV is a popular news channel catering to the Gujarat region. Oscar Movies is movie channel catering to the UP/ Bihar region, Big RTL Thrill is an infotainment Channel. REPORTER TV is a premier Malayalam regional news channel, God TV is Christian English Channel, Goodness TV is a Malayalam Religious Channel. 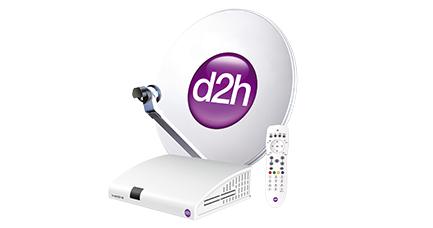 These new channels will keep updated the customers of d2h about the latest happenings in the region, current affairs, news analysis and enthrall them. 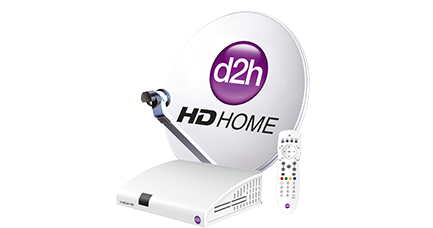 Mr. Saurabh Dhoot, Director - d2h group stated ""Addition of these 7 new channels reconfirms our endeavor to add the best of channels catering to our ever growing subscriber base. We look forward to provide every subscriber his own channel and choice to choose from our vast array of channels and services, thus keeping us at forefront""
Mr. Anil Khera, CEO d2h added, ""Every new channel added on our platform is a valuable addition to our regional content. This Addition of 7 Channels on our platform will further encourage viewers to opt for a superior viewing experience. Redefining the entertainment quotient with an array of channels and services is our focus area and we will be adding many more channels soon""
Bharat Business Channel Limited is proposing, subject to receipt of requisite approvals, market conditions and other considerations, an initial public offering of its equity shares and has filed a Draft Red Herring Prospectus dated December 14, 2012 with the Securities and Exchange Board of India (""SEBI""). The Draft Red Herring Prospectus is available on the website of the SEBI at www.sebi.gov.in and the websites of the Joint Global Coordinators and Book Running Lead Managers at www.enam.com and www.ubs.com and the Book Running Lead Managers at www.idbicapital.com, www.sbicaps.com and www.yesbank.in. Investors should note that investment in equity shares involves a high degree of risk and for details refer to the Draft Red Herring Prospectus, including the section titled ""Risk Factors"". ""The Equity Shares have not been and will not be registered under the U. S. Securities Act of 1933, as amended (""Securities Act"") or any other applicable law of the United States and, unless so registered, may not be offered or sold within the United States except pursuant to an exemption from, or in a transaction not subject to, the registration requirements of the Securities Act and applicable state securities laws.""